I’ve always had a soft spot for twin lens reflex (TLR) cameras, so called because they use separate lenses for viewing (the upper) and taking the image. As a child I remember being fascinated with my father’s Yashica TLR, with it’s intricate controls and mechanical precision, and I thought the view through the waist level finder was pure magic! He took hundreds of photos of our family with that camera, and the negatives it produced still look great today. 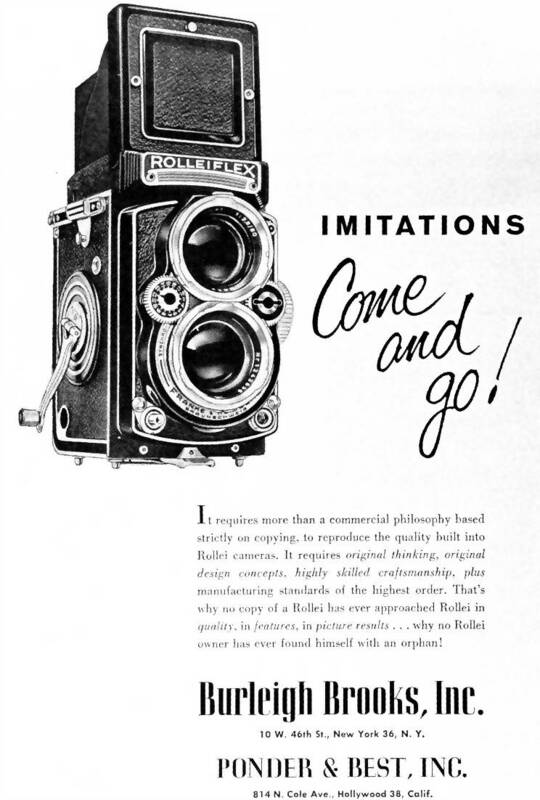 It was perhaps inevitable then, giving my early introduction to these cameras, that I would eventually want to get one for myself. It took longer than I might have thought, being distracted by various other camera types and systems along the way, but I am now the proud owner of a pair of Rolleiflex Automat TLRs. Made in Germany in 1956, with typical Teutonic efficiency, this particular model is fitted with a 75mm F/3.5 Carl Zeiss Jena Tessar taking lens. It takes 120 roll film, giving twelve 6x6cm square images per roll. The quality of both the build and the results is excellent. The Tessar lens is a little soft wide open, but stopped down to around F/8.0 it is fantastically sharp! The shot below was taken in the studio on Kodak Professional BW400CN film and demonstrates what this little lens is capable of. With the viewing hood collapsed, the Rolleiflex is very compact for a 6×6 medium format camera and, compared to the versions with the faster F/2.8 lenses, remarkably lightweight too. The lens is non-interchangeable which means there is no temptation to carry a bag full of lenses with you which you’d probably never be bothered to use anyway. A range of close up lens attachments are available if you need to focus closer than the standard one meter (Rolleinars), but that’s it as far as optics. It’s great to be able to sling the camera over your shoulder, shove a meter, a few filters and a couple of rolls of film in your pocket, and know that you still have a camera that can produce high quality medium format images with the minimum of fuss. The Automats are still available for reasonable amounts of money if you shop carefully, although prices have been on the rise quite alarmingly lately. I paid less than $150 each for both of mine, although on one of them the slow speeds needed some attention as the leaf shutter tends to gum up with old lubricant over time. This is very common with these cameras, but is an easy and relatively inexpensive fix for any competent repairman. In my opinion, the Automat range of Rolleiflex cameras are one of the best medium format bargains if you’re looking for a camera to use, rather than collect. Although they are all over fifty years old now, in good condition they can still produce stunning results on par with almost anything else out there. and the rest of the website is very good.